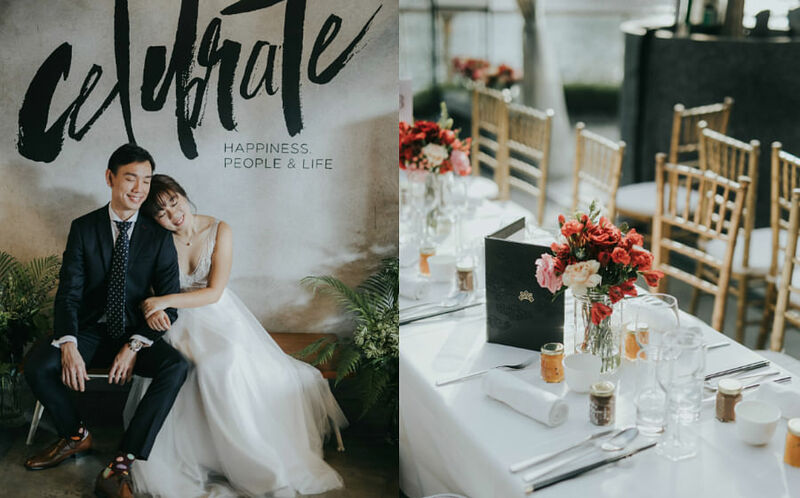 An otter-loving British couple got the perfect witnesses for a wedding proposal at Marina Reservoir on Tuesday (Nov 20) - a group of otters from Singapore's Bishan otter family. 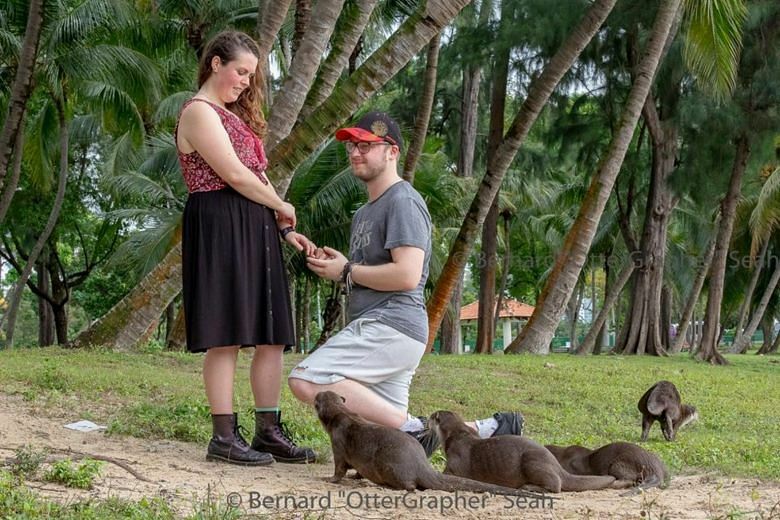 SINGAPORE - An otter-loving British couple got the perfect witnesses for a wedding proposal at Marina Reservoir on Tuesday (Nov 20) - a group of otters from Singapore's Bishan otter family. Mr Jordan Doyle and Ms Mary Lister were otter watching with local photographers when they spotted the group of otters. It was the perfect moment for Mr Doyle's proposal to Ms Lister as she "is a huge fan of otters", he told the BBC. 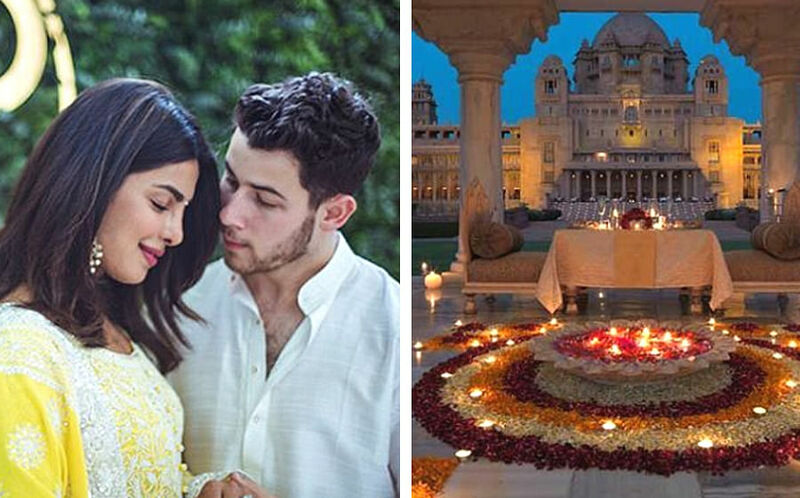 The couple are currently travelling around the world and arrived in Singapore on Monday. Last month, Mr Doyle, 28, had contacted local photographer Bernard Seah, who frequently takes pictures of otters, to help them with their otter watching adventures when they reached Singapore. While the 49-year-old wildlife photographer did not capture Mr Doyle's quiet proposal, he told The Straits Times that the reenactment turned out to be even better than the original. Mr Seah told the couple that they needed a photo of the proposal with the otters in the background, since they were there to see the mammals. While they were posing for photos near a swimming otter, a group of them emerged from the water and approached the couple. The otters hung around the couple for about 3min, providing Mr Seah the perfect opportunity to capture photos of the animals with Mr Doyle reenacting his proposal to Ms Lister. While Mr Seah said otters usually do not approach humans, those that reside in areas with high human traffic do. "The curious nature of otters will make them want to check out 'new additions' to their surroundings. So if you were sitting in the middle of their route, they might run by, sniff your shoe and proceed on," he said. For Mr Doyle and Ms Lister, the photographs captured by Mr Seah will "go down in their photobooks". "I didn't plan it and it turned out completely special," Mr Doyle told the BBC. The Bishan otters are one of Singapore's more well known otter families that originally established themselves in the Bishan area. But they have been residing in the Marina and Kallang area since a territorial dispute with their rivals, the Marina otters, in 2015. See also: 12 SERIOUSLY ROMANTIC PROPOSALS FROM OUR REAL GROOMS! This story was first published in The Straits Times Singapore.